OAKLAND, Calif. — From cowering to confident —that's what we aim for in the Forgotten Kitten Project. Working with under-socialized kittens takes time. Some move more quickly than others, but what we know for sure is that time is a vital resource in their development, and one most shelters just don't have. Staff and volunteers at Cat Town work closely with our youngest residents, tracking every inch of progress along the way before they're ready to be adopted. Within a single litter, we see progress at all different speeds. With the help of kitten expert Sarah Rogers, who provides special training for our volunteers, we know to look for and identify kitten milestones under four different stages of progress — negative behaviors, tolerance, acceptance and enjoyment. When most of our kittens start out, they exhibit negative behaviors like hissing and swatting. 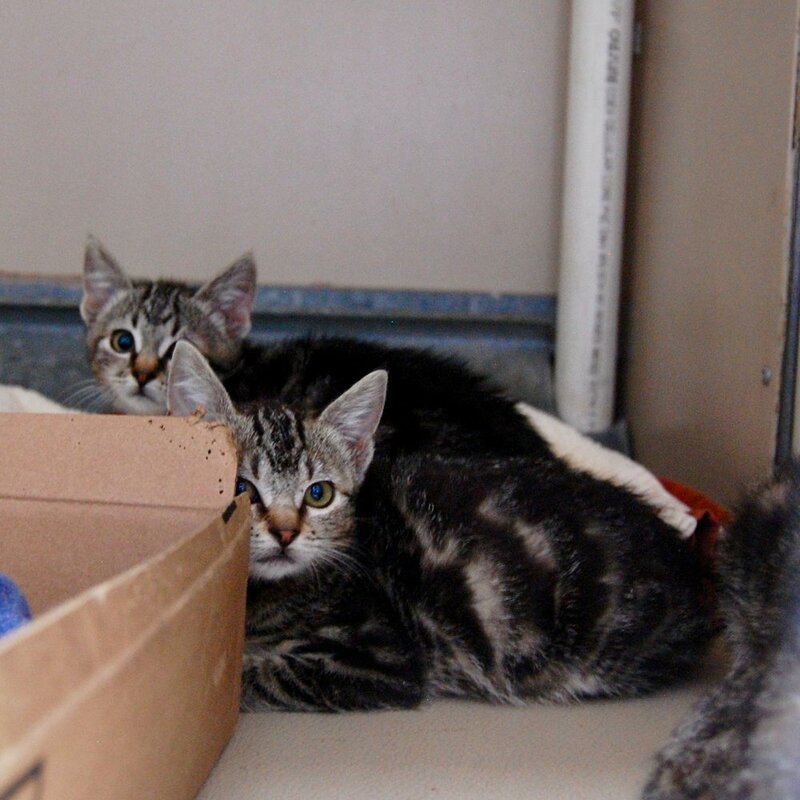 Sometimes they came to us because they were on bite quarantine at the shelter, which ensures they won't be made available for adoption. Over time, they learn to trust, reaching social milestones like the acceptance of food and pets. Mel, a total firecracker, was recently adopted after our volunteers worked with her. As the kittens keep coming, we'll keep waiting, providing patience and pets along the way — at Cat Town, that's how transformation happens! Want to volunteer with Cat Town and make a difference in the lives of shelter cats? Find out about volunteer opportunities below. New to the weekly Kitten Wire? Check out the first post here to learn more about the project.